The universe is dying, so the headlines read. While it’s true in a way, it seems a rather odd term to apply to the universe. The headline comes from a study looking at the amount of light put out by different galaxies. 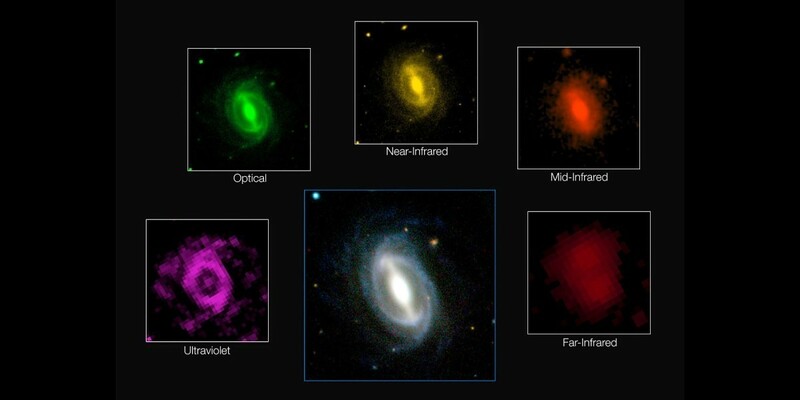 The team surveyed more than 200,000 galaxies at a range of wavelengths, from infrared to ultraviolet, and they found that more distant galaxies give off more light (on average) than closer ones. Since light takes time to reach us from distant galaxies, this study gives us an idea of how energy production in galaxies changes over time. What they found was that the light produced by galaxies today is about half what it was 2 billion years ago. Hence the headline that the universe is dying. But “dying” is an odd term for this result. To use a human analogy, it would be strange to say that a healthy 35 year old is dying, though technically it’s true. Rather the decrease of light production is like that small twinge in your knee. It reminds you of your own mortality, even though your last conscious moment may be decades away. We know our time on this world is finite, and every now and then some experience reminds us of that. The same is true in the case of these results. We’ve known that star production in the universe peaked about 6 to 10 billion years ago, and this new result further confirms this. We’ve also long known that the universe was likely fated to end because of the laws of thermodynamics. We are not only finite creatures, but we live in a finite universe. This past week many of you watched the night skies to see the Perseid meteor shower. You may have looked in awe at a brilliant shooting star, never thinking of that moment as a death. But in some ways it was. A particle of dust from the formation of our solar system had lived as part of a comet for billions of years, only to be ejected as part of the comet’s tail, and finally to vaporize in Earth’s upper atmosphere. A moment of wonder in a fiery demise. As humans we tend to mark our lives by big events. The birth of a child, the death of a parent. Our world is often small, and focused on our personal experiences. Part of what makes astronomy so powerful is that it forces us to look beyond our personal cosmos. We are part of a human species that will survive long beyond our personal lives, but even humanity’s existence is tied to a fading cosmos. Our tribe will not live forever. Yet we can can have wondrous experiences in this universe. Finite, yes, but wondrous none the less. So we can cherish the moments we have in the Sun, and recognize that its finite nature is part of what makes it precious, or we can fill our lives with distractions while we try to ignore the rumors of our demise.